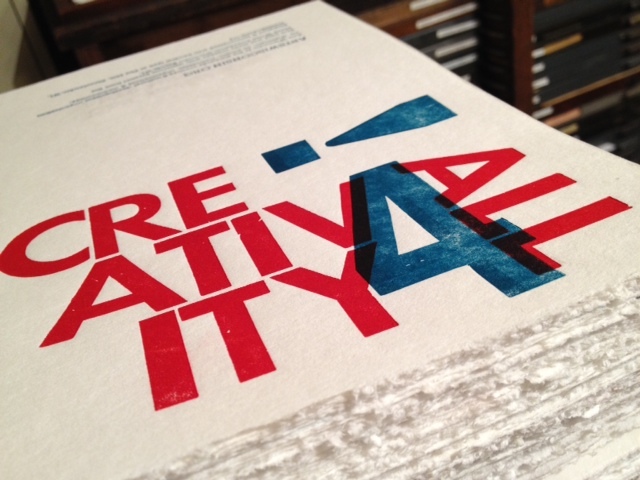 Get your Arts Wisconsin and community cultural development stuff here! communities all across the country including urban and suburban. Discussions on business, public education, and communications were rewritten to reflect the evolution on these fronts in the past thirty-five years. An appendix summarizes what is happening in the test communities today. With a forward by Robert L. Lynch, President and CEO of Americans for the Arts, and supported in part by grants from the Wisconsin Arts Board with funds from the National Endowment for the Arts’ Challenge America program and from The Evjue Foundation, Inc., The Arts in the Small Community 2006 passes on the story of the original experiment and what it has taught to new generations of arts development practitioners and visionaries. 2015 cards feature an enthusiastic arts parade with students from the Pecatonica School District in Hollandale, WI. Photo by Marilyn Rolfsmeyer. 2014 cards (just a few left!) 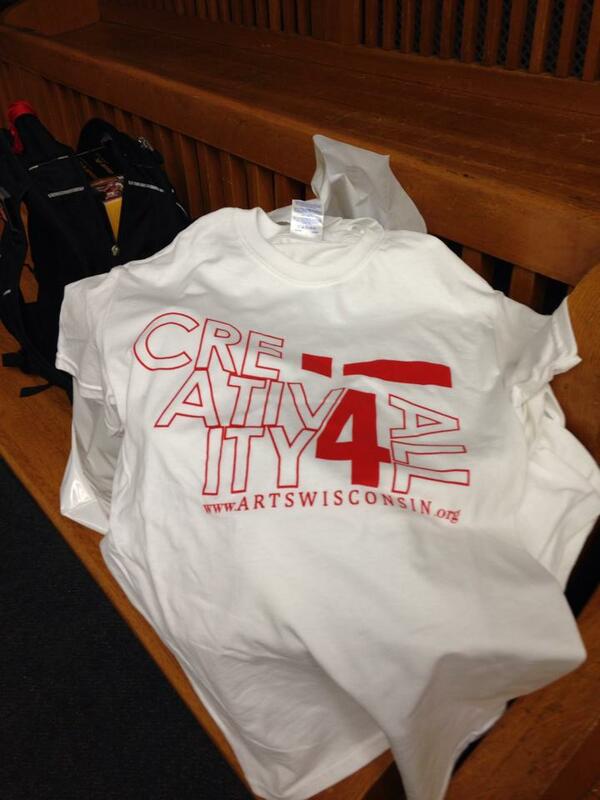 – Creativity 4 All, by artist Daniel Goscha of Madison. Tshirts: All tshirts are $4 each, 3 for $11. 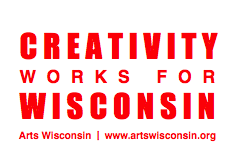 For all orders, send a message or contact Arts Wisconsin at 608 255 8316 or info@artswisconsin.org. You can pay via check payable to Arts Wisconsin (send to Box 1054, Madison, WI 53701-1054) or by credit card (VISA/MC) or PayPal. All prices include shipping and handling. Please allow up to 2 weeks for delivery.